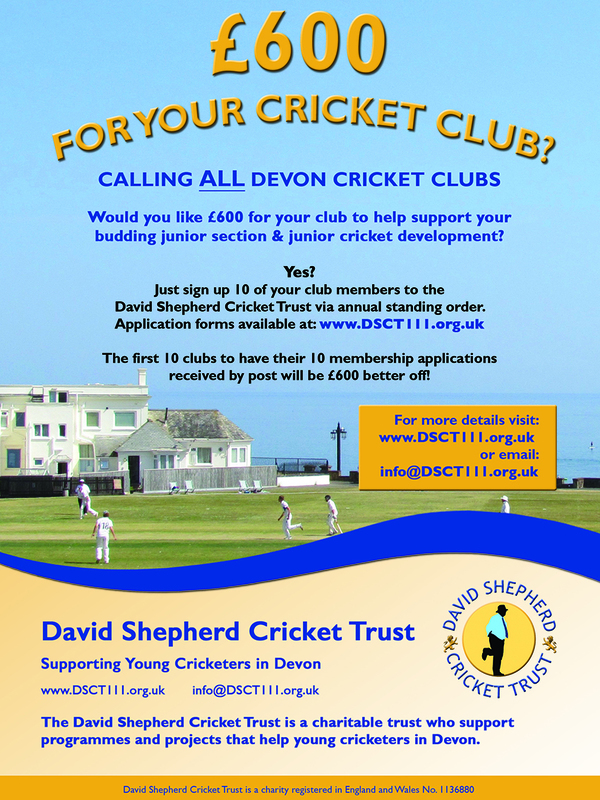 CRICKET clubs in Devon have been offered the chance to share in a £6,000 youth section initiative launched by the David Shepherd Cricket Trust. The charitable trust set up in memory of former Test match umpire and Devon cricketer David Shepherd, aims to plough around £20,000 a year into youth cricket in the county. Money is raised from membership subscriptions – clubs, families and individuals can join the charity – and from the proceeds of events, such as the up-coming lunch date with Mike Procter. Cash grants are available for most projects related to youth coaching and development. Generally, kit and equipment does not qualify for a grant. Instead of going through the application process from start to finish, clubs have been offered a short cut to a £600 grant for their youth section. Kat Hampton, the secretary of the Trust, said the £600 grants are available on a first-come, first-served basis. “The first ten clubs to send in applications for ten new members who have all signed annual standing orders will be eligible for the funding,” said Kat. Membership forms, which include the standing order mandate, can be downloaded here. When completed they need to be posted to the Membership Administrator, David Shepherd Cricket Trust, Devcor House, 91 North Hill, Plymouth PL4 8JT.